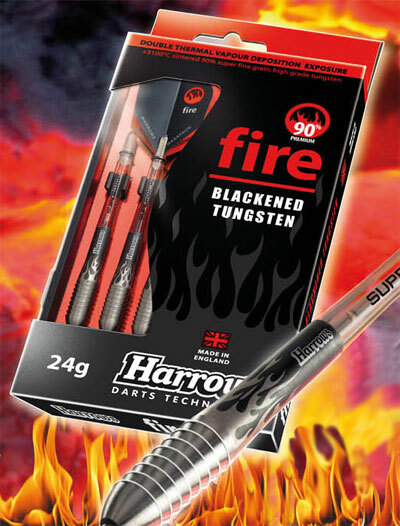 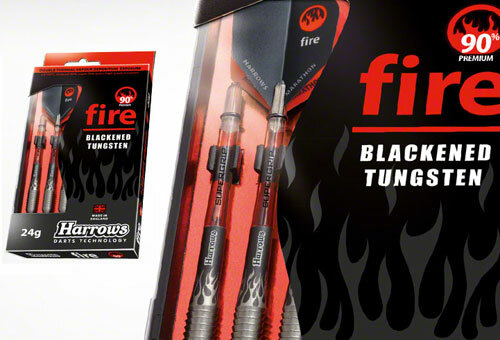 Two-Tone 90% Blackened Tungsten featuring Radically Profiled Barrels. Each barrel goes-thru the "double exposure hot-pressed vapor process" - creating a very durable, non-slip coating. 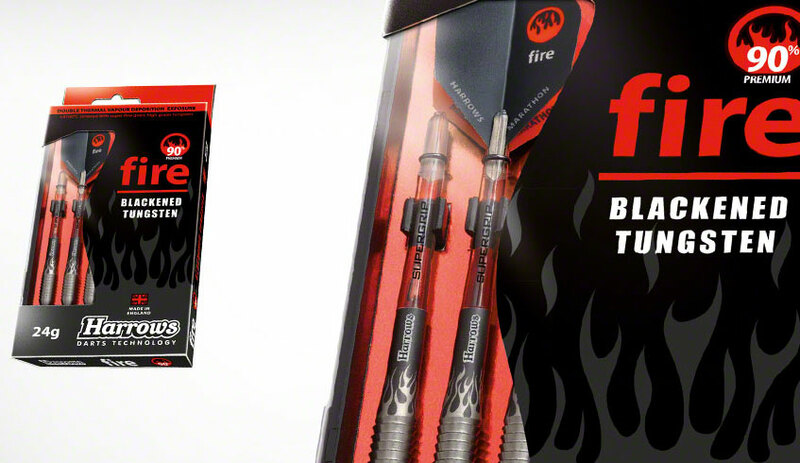 Featuring Smokey Supergrip shafts and Marathon flights.